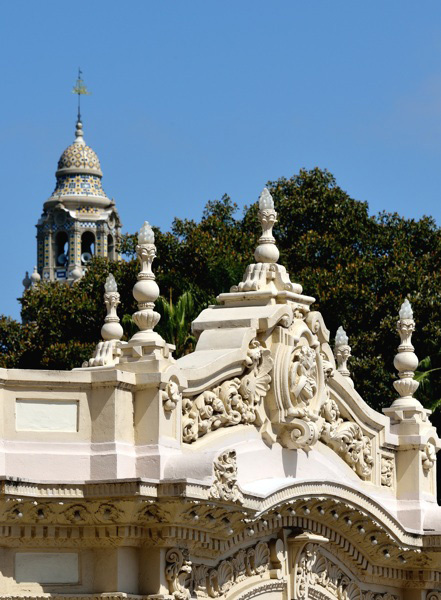 Monday night June 26 – Concert at 7:30 p.m.
Monday June 26 the Spreckels Organ Society launches its 30th season of the International Summer Organ Festival with a concert by Ty Woodward, organist, and the Marine Band San Diego beginning at 7:30 p.m. Details about this and the other concerts in the weekly Monday night series can be found by clicking on the image to the right – a downloadable PDF of the free program book. You can pick up your souvenir copy of this book and use it all season when you arrive at one of the summer concerts. As always, admission is free. Your support through Society membership is how we can keep this fine music flowing. See you this summer!